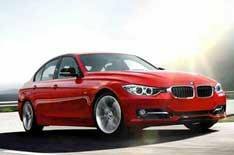 BMW 3 Series prices and spec | What Car? BMW has released full pricing details for the all-new 3 Series. There are small price rises for most models, but there's more standard equipment than before. The model line-up has expanded to include new Sport, Modern and Luxury trims, which BMW says cater for an increasing number of customers who want to individualise their car.